Struggling, as ever, with the demands of work, family and a precarious love life, Gina Gray finds herself in the world of Scandinavian noir. A trip with students to perform Hamlet in Denmark, at the very castle where Shakespeare sets the play, starts out as an adventure: `I like young people, I like Hamlet, I have a predilection in favour of Denmark as a rational, civilised not-too-hot country,' she tells us. What could possibly go wrong? Almost everything, as it turns out. At the last minute, Gina has to take her three-year-old granddaughter, Freda, with her, David Scott, her `boyfriend, partner, lover or significant other' breaks off contact and the student group turns out to be seething with neurosis, envy, conflict and soured relationships. Even before the first death, Gina is wishing she could go home... but when one of the students dies in a car crash and the local police suspect foul play, she is drawn into the investigation. As other attacks follow and Gina stumbles towards the truth, hidden deep in Hamlet itself, police suspicion lights on her and a murderer's net closes in around her. I could come over, David Scott texts. No need, she replies. Can she really cope alone? 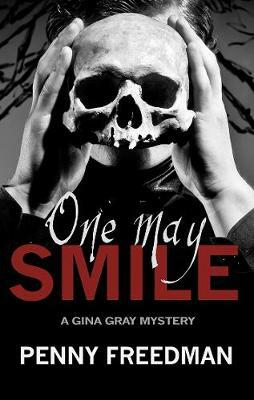 One May Smile is another of Penny Freedman's popular series of novels, providing a classic `whodunit' story with a modern twist. The crimes take place in a `cosy' Middle England context, but take us to dark emotional places with a lot of humour, black and otherwise. Fans of classic crime will find this a gripping read.